I recently became a Parent Advocate for a non-profit organization called Immunity Community. I'll be helping to put a friendly face to vaccinations through my new role. Like politics or religion, vaccinations aren't a topic that a lot of people feel comfortable talking about with their peers. Yet being vaccinated or not vaccinated effects more then you and your family and can be a scary process to go through alone. 1. I have an auto-immune disease, if I were to catch the flu it could be very devastating to me and my health, more then a person with a "normal" immune system. 2. I certainly don't want my kiddos to have to go through the flu. What an icky and difficult experience. Something I can help them avoid by getting the flu shot or flu mist. 3. Kenny and I don't have time in our lives to be laid up with some nasty illness. 4. We are out in our community: school, work, toddler group, etc. By vaccinating ourselves we help to keep the spread of the flu down and help to protect others in the community who can't be vaccinated against the flu. I DO NOT like shots or needles. 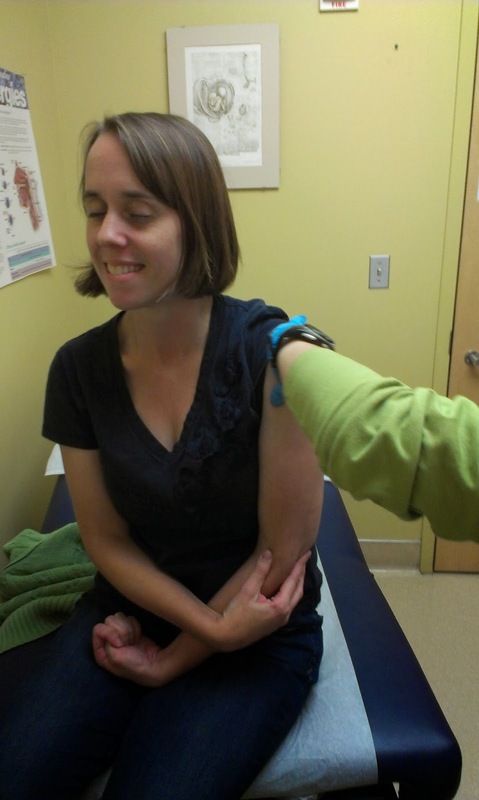 I stressed and thought about the flu shot for weeks before I got it. I had that nagging feeling in the back of my head about this shot for weeks before I got it. I did it though and like every year, it wasn't a big deal at all. Though as you can see, my eyes are closed and I will NOT look any where near the nurse and that darn needle! Brave Kenny, getting his shot. The kids go in this week for their flu mist. I almost want to say they are excited about it. 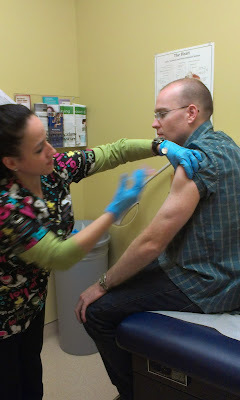 I told them they could pick flu shot or flu mist. We talked about each one and that no matter which one they pick it will only be a second of uncomfortableness. Plus, a trip to get frozen yogurt afterwards has them asking when do we get our "nose shots". 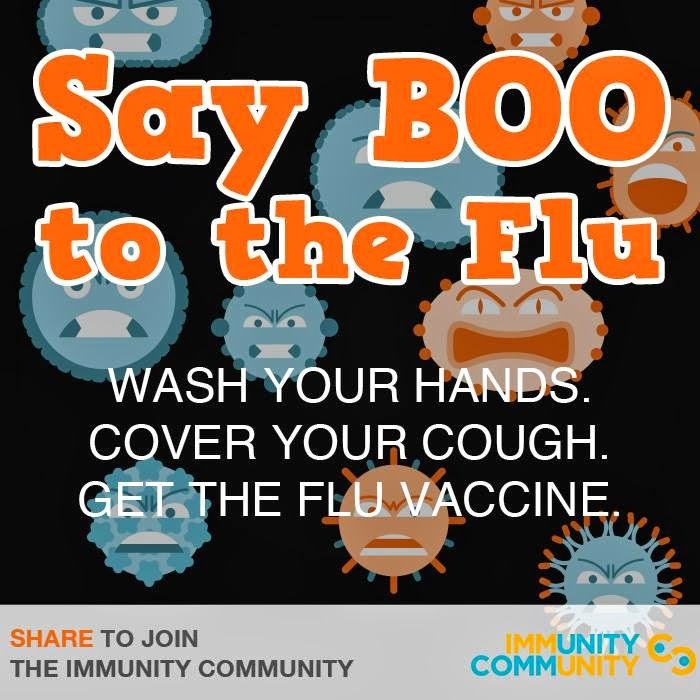 Help be a part of the Immunity Community and get your flu shot this month.